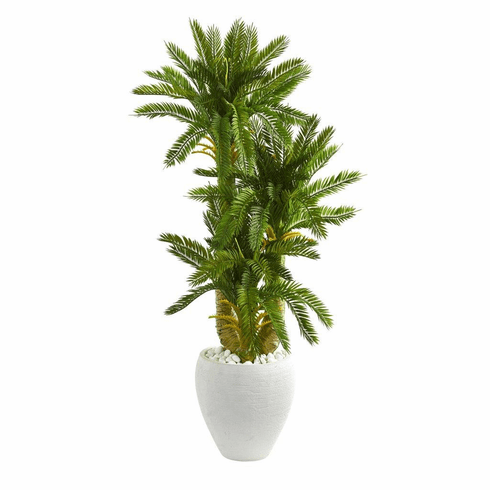 The lush, feather-like green leaves of this triple cycas artificial tree fan out in a splendid way. Standing at a height of 4 feet, this ornament features two realistic and carefully crafted thick trunks that are tucked in a crisp white planter filled with faux river rocks. You can arrange this piece on either side of your white entertainment center to create a fun and natural-looking contrast. Height: 4 Ft., Width: 29 In., Depth: 29 In., Color: , Pot Size: H: 12 In. W: 12 In. D: 12 In.